As of today, June 21st, summer is officially here! And with summer comes beach outings, walks in the park, music festivals, and days laying out on your porch. 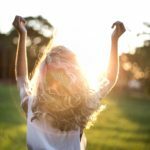 There’s no denying that the endless sunshine is one of the best perks of summer- but what about those days when your noggin needs a little shade? Well, don’t sweat it my friends; all you need is a stylish hat to keep that head of yours company. 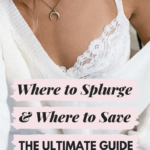 I’ve compiled a total of twenty one stylish hats into five different style categories, so whatever your taste or mood, you can rest assured that your topper will look cool and will keep you feeling cool, too. Interested? Read on! There’s a certain sophistication that comes with donning a sunhat. I don’t know what it is, but as soon as I put one on, I feel like I’m in a movie circa early Audrey Hepburn. I love them because they’re instant outfit changers. You could be wearing a plain tee shirt and a pair of jeans- but as soon as this hat goes on, wham- you’re an instant fashionista. Sun hats are also great for those of you who don’t like being in the sun, as the brim of the hat is so wide, you’re always guaranteed shade. 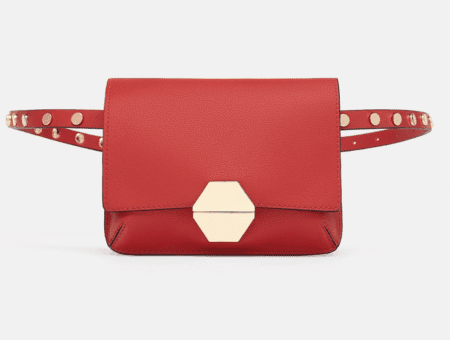 And depending on the color and the material, this item can be dressed up or down. Wear a sun hat to the beach or out to lunch; no matter where you go, you’re guaranteed to look chic. Straw hats are great: they’re light, easy to carry, and instantly make you look cool without giving off that “trying too hard” vibe. These hats are a great for when you’re going somewhere casual like the park or a music festival because they up the fashion ante while protecting your head from the sun and adding unexpected life to your outfit. 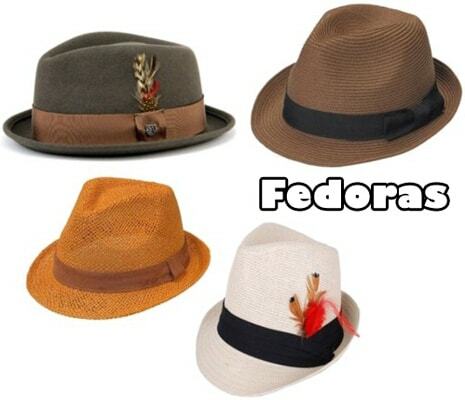 Oh, fedoras- the ultimate trendy hat. 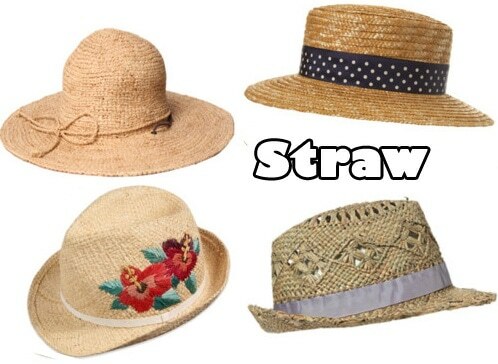 Whether you go for straw or cloth, these babies are chock full of “it girl” style. They’re the favorite hat of festival-goers, Urban Outfitters shoppers, and celebrities “avoiding” the paparazzi. 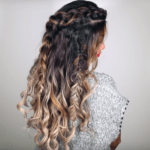 What I love about them is that they come in so many colors or styles, so whether you’re looking for a plain tan fedora or a feathered beauty, there’s a style out there for you! 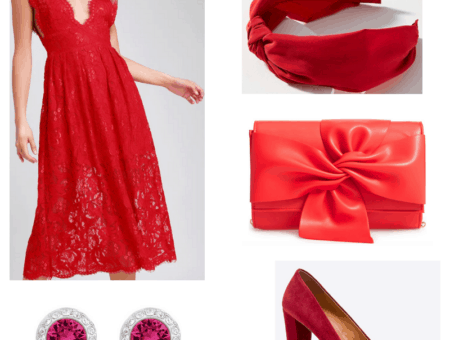 And what’s even better is they go great with basically everything, be it a sundress or a pair of skinny jeans. Bucket hats are soooo adorable, but admittedly tricky to pull off. When I think of bucket hats, I immediately think of France, picnics in the park, and other possibly vomit-inducing cutesy stuff (but that’s just the cynic in me, haha). This hat is instinctively for the prep in all of us and should be paired with light airy clothes. 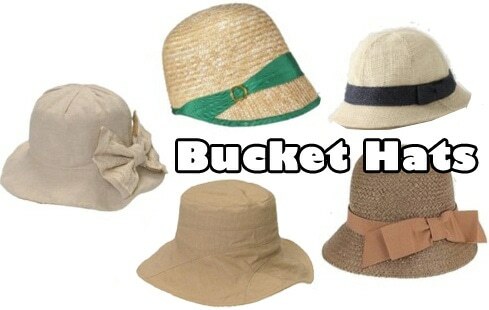 Bucket hats: cute, sophisticated, and perfect for the girly girl in all of us. 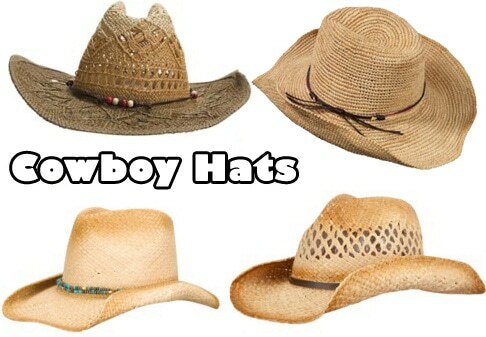 For all y’all cowgirls out there, I’ve rustled up some fine cowboy hats to keep you cool as you roam the countryside or the fields. Cowboy hats are great for a day at the beach with a swimsuit, or for just laying out by the pool. They also go great with casual attire like jeans, a plain white tee shirt, or a pair of daisy dukes. Whatever you pair these with, you’ll look cool, calm, and collected. 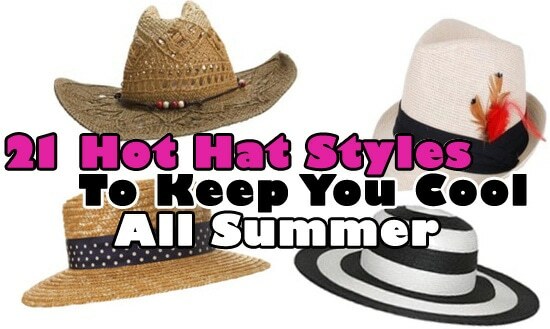 What hat are you going to be rockin’ this summer? Or do you have two favorites? Did you like the hats I picked out? Where will you be wearing them? Whatever your thoughts, don’t be afraid to let me know in the comments!